This material can be used for blocking heat in space shuttles to electrical devices. 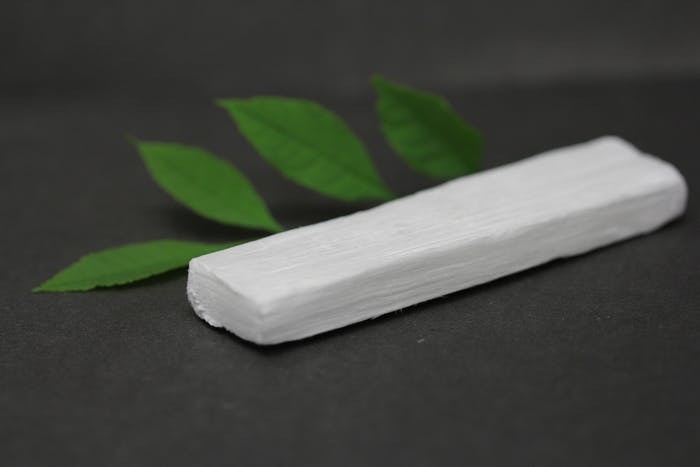 Engineers at University of Maryland have created a form of chemically processed wood that can block heat as effectively as Stryofoam while being much stronger and more environment friendly. This can have huge implications for reducing the carbon footprint of humans as it could make temperature maintenance possible with much less usage of energy. Thermal insulation is required for many applications, from space to electrical devices, and also for things as simple as keeping beverages cool. But a good thermal insulator needs to have many special characteristics, such as strength, biodegradability, and cost-effectiveness, amongst others. Currently, Styrofoam is one of the most widely used material for thermal insulation. But it can take more than 500 years to biodegrade. Nanowood is made by treating wood with cheap chemicals —sodium hydroxide, hydrogen peroxide and sodium sulphite.This results in the removal of most of the solid material in the wood, consisting of lignin, the component of wood that makes it brown and rigid, and hemicellulose. Once these are removed, only nano fibres of cellulose are left. Now when heat tries to travel across the wood, it finds it much harder to do so as only air is left within the structural walls. Air is a poor conductor. This material will also decompose much faster as it is made of only cellulose. While heat trying to cross the wood across the cellulose walls will be blocked, if the direction is changed, then an easy passage becomes available. The heat can move through the channels that the tree used to utilise for transporting water and nutrients when alive. This gives the option of controlling the flow of heat as and where desired. Another remarkable aspect about nanowood is that it doesn't cost much to create it. The chemicals required only cost $7 for making each square metre. It will also not require slower-growing trees to be felled for the purpose. Wood from trees which are lighter and grow faster, such as balsa wood, can also be used for developing nanowood. “This work shows that with proper treatment, wood can become stronger and more insulating than commonly used insulation, such as fiberglass for houses, with the added benefits that it is non-toxic and sustainable,” said Jeff Youngblood from Purdue University. Youngblood’s work is also centred on making wood-derived products which will be useful in industry. 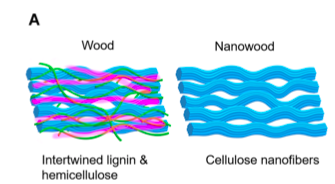 The authors have written in their research that the nanowood can be sliced as thin as 1 millimetre, and can subsequently be rolled and folded, “making it suitable for scenarios that require flexibility, such as pipelines in chemical factories and power plants.” To capitalise on the host of possible applications of nanowood, Hu has set up a company called Inventwood to commercialise the team’s creation. It will be an exciting journey to follow.